La Seyne sur Mer 6 km from Toulon. Seaside, close trade, center town. 1 room, 1 room of water, 1 toilet, 1 double bed,. Kitchen. Private parking. Equipment: crockery and cutlery, cooking utensils, refrigerator, fan, TV, cleaning not included. Rental only weekly (320 euros per week). 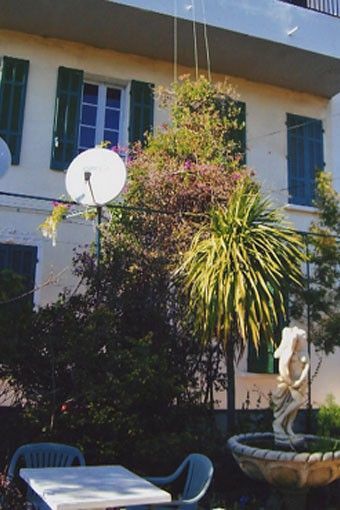 For all inquiries please call 06 65 20 34 79.
fully renovated studio of 40 m2 on the 1st floor of a town house located in the heart of the district of Fort Napoleon to Seyne sur mer, close to amenities and public transport. Entirely crossing it consists of a large room, a kitchen, a small dining room and a bathroom. The studio has a double bed and a convertible two places. Non smoking studio. Animals are not allowed. - Sheets and towels not provided ..
- a deposit of 300 € will be asked by check (not put in collection).